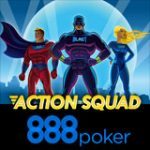 The Action Squad tournaments run daily on 888poker offering three daily $3,000 poker freerolls plus a weekly $10,000 freeroll on Sundays. 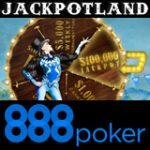 Players can win up to $100,000 daily in the 888 Poker Action Squad promotion where players can win cash, bonuses and tickets everyday until 5th November, 2017. 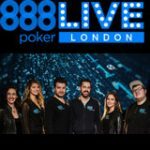 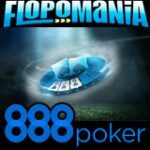 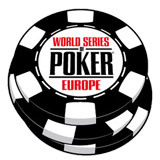 Make a deposit of $10 using the latest promo code and get three free tickets to the 888poker Action Squad tournaments. 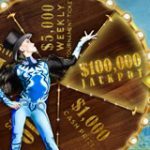 Players can win up to $100,000 in cash everyday by completing challenges and spinning the prize wheel and scratchcards prizes. 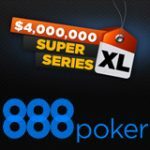 Prizes: $3,000 in prize pool plus top 10 players get a SuperPower Scratch card.